Brandie Wilkerson and Heather Bansley improved their odds of winning the International Volleyball Federation (FIVB) crown exponentially when they asked Lennard Krapp to be their head coach in May. 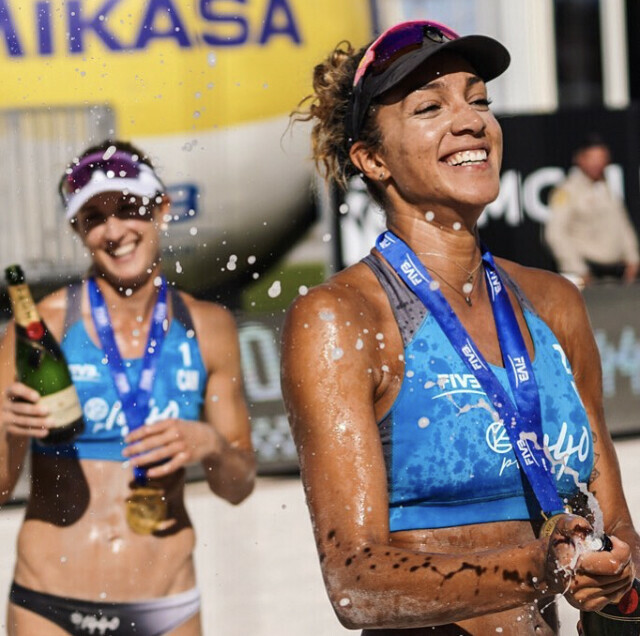 Less than two months later, on July 1, Wilkerson and Bansley stood atop the podium in Warsaw as first-time Beach Volleyball World Tour winners. Speed forward four months to Sunday (Oct. 21) and Wilkerson and Bansley are now ranked No. 1 in the world after beating 31 top competitors at the Las Vegas Open. In a first-time, all-Canadian showdown, Wilkerson and Bansley defeated fellow Canucks, Sarah Pavan and Melissa Humana-Paredes in three sets, 21-17, 17-21, 15-9. Ranked 13th in the world when Krapp, the head coach of the Pakmen Elite Beach program, took over, Wilkerson, 26, and Bansley, 31, now lead the standings and were recently named the best blocker and best defender respectively for the 2018 season. Krapp, who is also the head coach and founder of the Markham Revolution Volleyball Club, brought over a quarter century of international coaching experience in both his native Germany and Canada into his relationship with Wilkerson and Bansley, and the results have been astonishing. 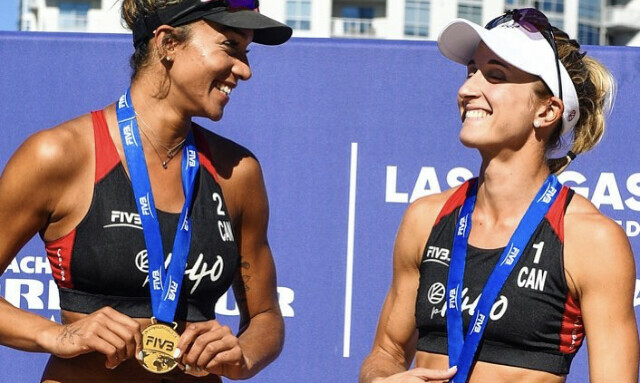 In the last 12 tour events, the Canadian duo have enjoyed six top-3 finishes, including gold in Vegas and Warsaw; silver in Boca Chica, Dominican Republic (Oct. 7) and Ostrava, the Czech Republic (June 24); and bronze in Gstaad, Czech Republic (July 15) and Itapema, Brazil (May 20). Spectacular results, considering Canada failed to win a single medal in the circuit’s first 23 seasons, and have now won 22 medals the past four seasons. “This journey with Heather and Brandie has been amazingly successful and very rewarding,” said Krapp. “So far, everything that has happened is part of the grand plan of working towards gold at the 2020 Olympics in Tokyo. Asked what made them so successful in such a short period of time, Krapp revealed the players have a willingness to work tirelessly in order to achieve their end goal. “They are very receptive and coachable athletes,” he said. “They are willing to move out of their comfort zones and make adjustments to their technical execution and tactics. Even Krapp, with all his previous international successes, was ecstatic with the result. With their quiet confidence and voracious work ethic, Krapp is optimistic with what the future may bring. Such as a lull that occurred at the end of the second set against Maria and Carol Antonelli of Brazil in the semi-finals, which they eventually won, 21-18, 22-24, 15-11. Bansley and Wilkerson also reversed a trend after three successive losses to Pavan and Humana-Paredes after winning their first meeting back in 2016. Prior to their semi-final win, Bansley and Wilkerson swept all their opponents in straight sets, defeating Emily Stockman and Kelley Larsen of the United States in the quarters, Liliana Fernandez Steiner and Elsa Baquerizo McMillan of Spain in the Round of 16, and Joy Stubbe and Marleen Ramond-van Iersel of the Netherlands and Kristina May and Taylor Pischke of Canada in Pool B. The World Tour continues this week (Oct. 24-28) in Chetumal, Mexico, where Bansley and Wilkerson will be seeded No. 1. Keeping a close eye on all the action will be Pakmen Volleyball Club founder and president Kelly Smith, along with a number of the club’s coaches. For, not only do they have an interest in Krapp’s connection with the team, but also in Wilkerson, who is a former Pakmen coach. 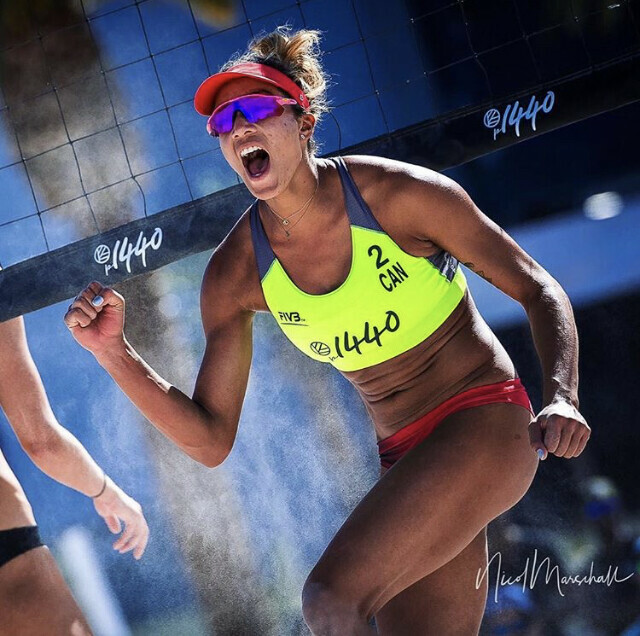 “Brandie coached in our development programs for a number of years until she made the Beach National team,” Smith proudly pointed out. He also couldn’t say enough about Krapp’s involvement. 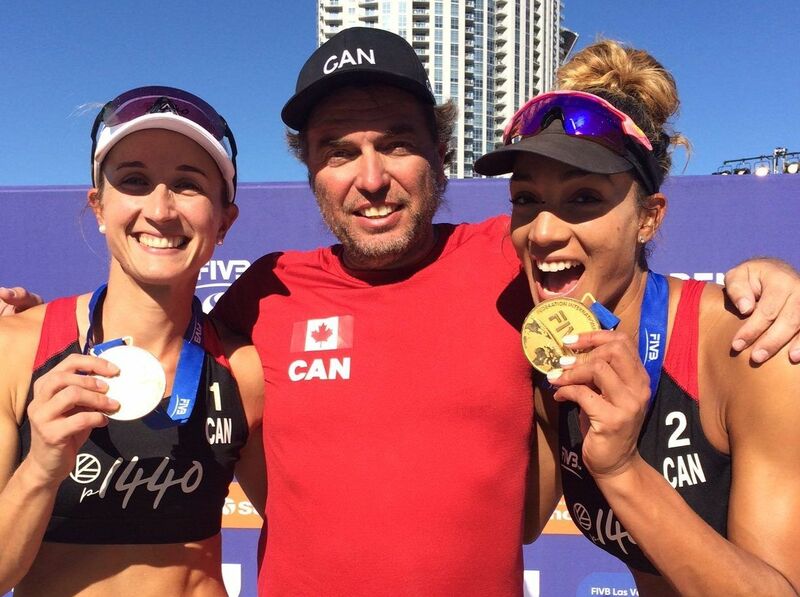 “Pakmen Elite Beach Volleyball players already knew coach Lennard was amazing, but it’s nice to see just how amazing he really is,” said Smith. “We cleaned up at Beach Nationals this past year and I feel we have amazing coaches. But they have all studied under Lennard for the past several years and, clearly, it’s made a difference. “Lennard has been our lead beach coach for the past five years and has trained all our beach coaches and the results speak for themselves: Pakmen athletes dominated the podium at Beach Nationals this past August, winning almost every event. Satti, the club’s beach volleyball head coach, has enjoyed a hands on relationship with Krapp that has contributed abundantly to his improvement as a leader. “Lennard has been an amazing asset to our beach program,” said Satti. “I’ve learned so much from him, especially about the technical aspects of each skill. “Lennard is really good at assessing athletes’ skills, finding their strengths and weaknesses and configuring training sessions based on that. Earning the highest certification level as a coach in Germany, as well as Sports Science and Psychology degrees at the revered Christian-Albrechts University of Kiel, Krapp displays a rare form of experience, insight and scientific knowledge to the sport, few coaches can duplicate. “All practice methods I apply are based on scientific evidence. I can draw from studies that analyze the structure of the game at every developmental level. Krapp combines the many aspects of his education and experience in his coaching and teaching styles, combining both the mechanics of the game and the psychology of the sport. That helps to explain how players training under Krapp have accrued over 55 medals on the world stage in the past three decades, with undoubtedly many more to come. My Team Just Lost Badly - What Next?